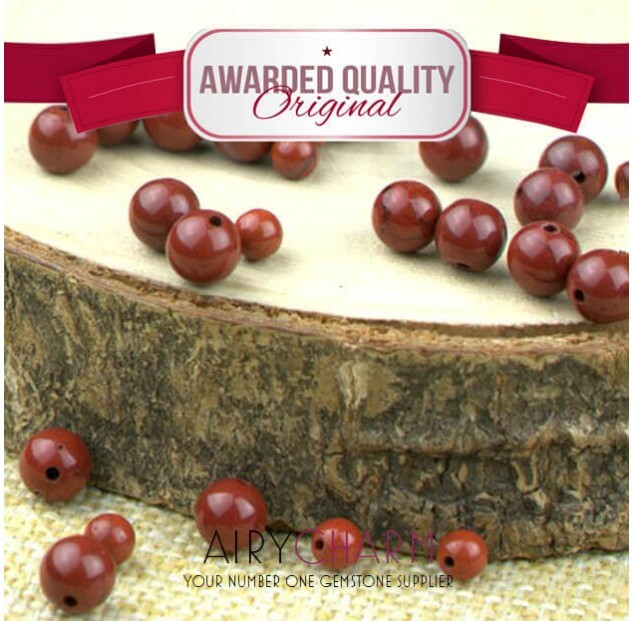 Agates are one of the most known gemstones around and can be found all over the world. What is so interesting about them is that they can be found in so many different color and shades, unique shapes, and inclusions. Agates are also one of the oldest gemstones ever used, with findings dating back to the Neolithic age. Ancient cultures in Egypt and Babylon were also known to agates for everything from decorations, to different ceremonies and healing rituals. Agates are now common all around the world and usually come in the shape of jewelry like beaded bracelets, pendant necklaces, earrings, and rings. Our red porcelain agate is very unique looking among others because of its striking color and porcelain surface. What makes it even more special are thin black inclusions that contrast the wonderful shade of darker red color. The beaded shape is perfect for jewelry making and is very simple to use and express your creativity. 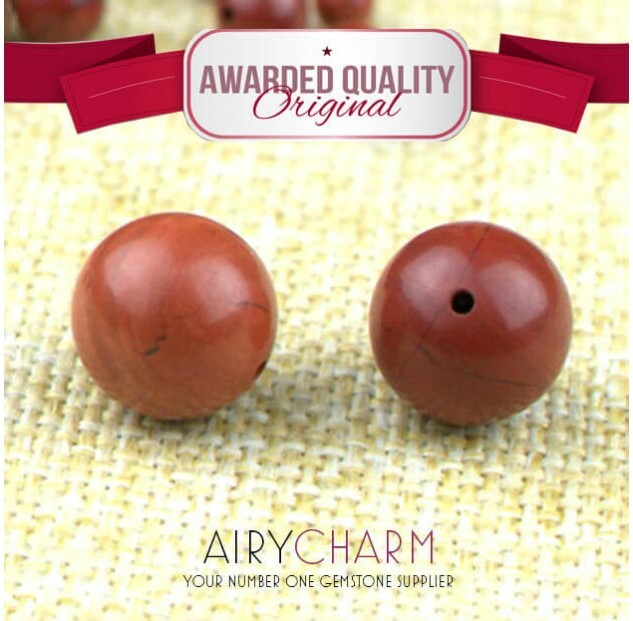 Our red porcelain agate beads come in nine different sizes so you can choose the perfect one for you or combine smaller and larger ones. Another important aspect of agate gemstones is its metaphysical properties. These kind of stones are believed to carry energy and have amazing powers that influences your life in a positive way. So not only can you make amazing jewelry, it will also help you in different aspects of your life. Because of its red color, this porcelain agate is connected to your root chakra. It represents the base of the chakra system and is ruled by earthy energy. For that reason, red agate will help you ground. Being grounded is important because you will feel more connected to the Earth, balanced, and less stressed. Our daily lives can be very overwhelming which results in poor decision making, emotional stress, negativity, and exhaustion. Wearing red agate jewelry will help you with the grounding process and relieve all of that negativity. This stone will also make you feel more safe and secure and those are the feeling we all long for. From that, a deep sense of confidence and understanding will arise which will make all personal relationships much better. If you feel like the communication with your partner or loved ones is bad recently and you have a hard time expressing your emotions and needs, wearing red agate jewelry might help. It helps us to understand ourselves as well as our family much better which results in better relationships and more compassion towards each other. It will build more trust and make you feel more connected. If you feel emotionally distressed and can’t get negative thoughts out of your head, having a red agate around will release gentle, soothing energy which helps to clear your mind and release all the negativity. If you’re overthinking and can’t stop the negative attacks in your mind, it is a good idea to meditate while wearing a red porcelain agate. The combination of the two will center you and stop the noise in your mind, bringing you back to peace and joy.